Our Overnight Camp also is our most popular and highly effective way to train your dog. Your dog stays with us and receives multiple daily training sessions, alternating with rest periods. 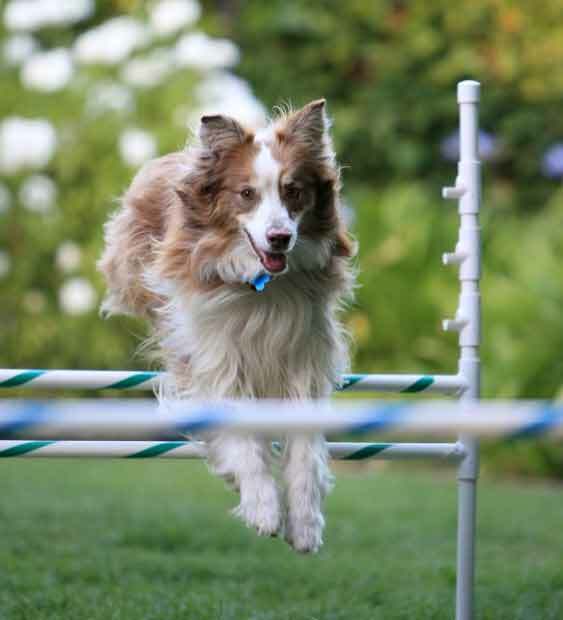 Our Day School Camp delivers intense command reinforcement dog training while you are at work or out running errands. At the conclusion of our training, individual lessons are provided to transfer the training from us to you and your family. Our overnight dog boarding and training camp is a very popular option for pet parents. We do all of the hard work by teaching your dog to follow commands and have better manners. This means you can spend more of your time enjoying your dog rather than being frustrated not getting results. We guarantee the results of many of our dog training camps and provide lifelong follow up support. Fast Track Dog Training Camps Gets Awesome Results! Many people who choose our dog training camps or boot camps either have little time to train their dog, or are going away on vacation and want their dog to receive training while they are away. The main benefit of having your dog’s stay with us is that more training can happen in a shorter period of time. This is accomplished during numerous training sessions each day and additional reinforcement when your dog is with other staff members. Between training sessions, your dog will have playtime, snacks, and walks. Unlike most dog obedience camps, at Dogizone we teach your dog a strong foundation and then reinforce that in a high-distraction environment – outdoors, around other dogs, squirrels, people, cars, etc. We introduce the dog to as many different circumstances as possible. We do this because we are training for the real world filled with lots of distractions. We've successfully trained puppies to seniors (yes, older dogs can learn lot of new behaviors and tricks). And of course all breeds. We fast-track long term results and make wonderful changes happen in your dog and your life! Our approach is perfect for almost any pet parent that wants reliable results, obedience around distractions, or even control off-leash. DogiZone includes follow-up dog training sessions with your package to make sure the training is long-lasting and effective. When the dog returns to go home, a trainer will give you a demonstration and the first follow-up lesson. Dog training in Maryland is a must for any dog or puppy. The next best choice for your dog if you don’t want to be without your dog but want to gain results in a short period of time. Your dog is trained with in the comfort your home environment where the problems are occurring. We guarantee the results of many of our training camps with lifelong follow up support so you’re never on your own when a problem arises. We Train Your Dog While You’re at Work! Many people who choose our day care programs are busy professionals who have little time to train their dog but need their dog trained quickly in a canine obedience school setting. The main benefit of day care for training is that more commands can be taught and imprinted in a shorter period of time. This is done by doing multiple training sessions 3-5 times each day. Between training sessions, your dog will have playtime, snacks, and walks. Our k9 to 5 day care programs are very similar to our board and train programs except your dog will be at home with you at night. We will pick your dog up or you can drop your dog off while you’re at work and we will care for your dog throughout the day. Each evening your pet will return home from our obedience school for dogs and you’ll be given a specific exercise to do with your dog which is mandatory for success.